The Best 10 Magento 2 Website Optimization Service extensions from hundreds of the Website Optimization Service extensions in the market as derived from Mageplaza Ranking which is using Mageplaza scores, rating reviews, search results, social metrics. The bellow extensions were picked manually by Mageplaza experts, if your Website Optimization Service does not include in the list, feel free to contact us. The best Website Optimization Service list is ranked and result in 2019, the price from $79 to $690. Find more Magento 2 extensions here. This tool helps your website load faster and bring a great shopping experience to your customers. With the integration of various tools, surely shop owners will be satisfied with this module. With this service, it can help store owners significantly improve website speed, as well as increase conversion rates and search rankings on Google. In addition, it also helps to increase store efficiency and customer satisfaction. It's time to improve your store's slow page speed. Let this perfect service help you speed up your page load, so you do not miss out on shopping carts and increase revenue for your store. The customer's purchase experience is an important factor determining the purchase of their product. If the page load speed is fast, they will quickly add them to the cart to buy. But if the load is slow, there is no opportunity for customers to visit the website again. Therefore, improving the speed of web page load is essential per store owners. If your site is slow to load pages and this causes you to lose visitors to your website, which leads to reduce orders and store sales, this service is a great solution for you. It will help you solve all your problems quickly. This service will surely satisfy you, as it helps to improve website speed, increase customer self-confidence and help them have a great shopping experience on your website. This will help increase sales and improve the branding for the store. This is an essential tool for every store to help speed page load faster, satisfying the customer. In addition, fast page load speed brings many benefits such as increased store revenues, brand improvements, etc. Slow page loading will make customers impatient enough to wait, and from there, you have lost an order for your store. From now on, improve your website speed, bring a great and fast shopping experience to your customers. I'm sure that sales performance will increase significantly. It's possible to see page’s speed as an important factor in the search page rankings, and Google appreciates fast-loading pages. Also, because of this, from now on, this gives your website the fastest load speed to improve the user experience. Besides, it also helps increase the total revenues for the store and help customers shop faster on the web. 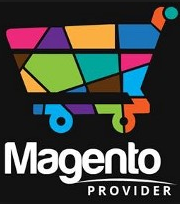 This is a perfect service for Magento website. It helps improve page load time, save time for customers, and improve the user experience. This will help the store boost sales significantly. Thank to every vendor that has made this Top 10 Website Optimization Service list! This is the most comprehensive list of best Website Optimization Service on the internet and we are honoured to have you as part of this! We would like to give the best commendation for all of vendors who have done the number one of Website Optimization Service brief! It is appreciated to be the most awesome and exhaustive result from searching on Google. We are pretty proud of your appearance of this task. Many thanks for your benefaction to our lives!